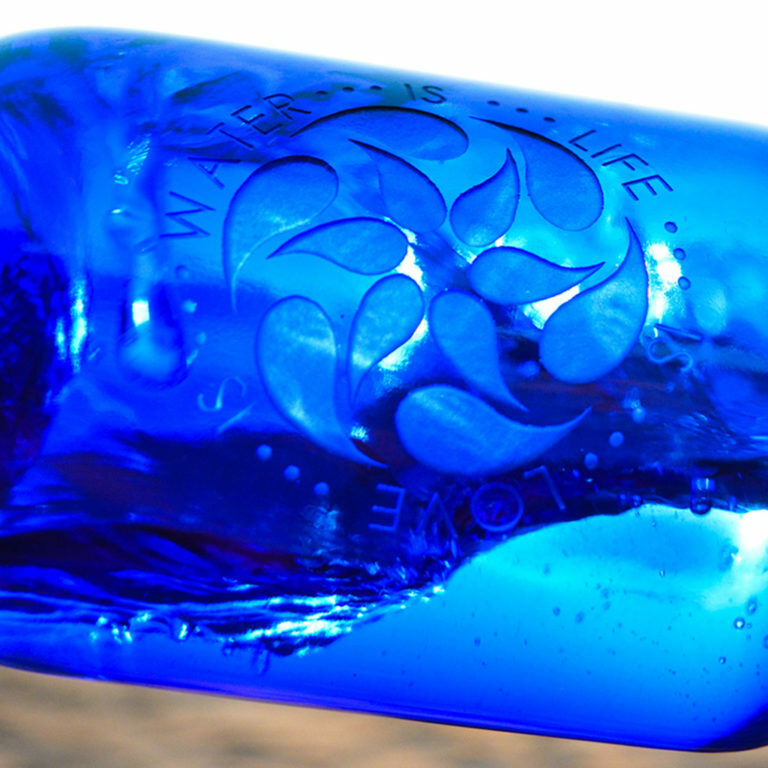 Gorgeous true blue glass is made in Italy. Our logo flip top cap is BPA-free, leak-proof, & always ON the bottle. Deeply sandblasted symbols etched in USA. Thick, break resistant glass is durable and reusable. Water stays fresh and clean and more oxygenated in Blue Glass. Our latest design is finally here!! The idea that Water is Life is so true….and Life is Love….and Love is Water!! So these words continue on and on with our signature Blue Bottle Love logo, embodying the energy of Flowing and Growing! Yes we want all water to be Flowing and Growing and ALIVE!! minimum of one hour. Prepare to be transformed from the inside out! © 2019 Blue Bottle Love. All Rights Reserved.